When Phyllis Tan completed her schooling at Raffles’ Girls School in 1950, the principal, an Englishwoman, asked what she planned to do. Without any hesitation, Phyllis said she was going to study law. “Bloodsucker,” was the principal’s response. The disdain shown by the principal for the legal profession did not deter Phyllis. Her father was a lawyer, and as a child she knew that she too wanted to be a lawyer. Seventeen years later, in 1967, Phyllis was the only woman council member when the Law Society was established. In 1979, she became the Law Society’s president, the first woman to hold the post. Phyllis was born in in 1933, the younger of two daughters. In May 1952, Phyllis and her sister, who was going to pursue a course in domestic science, sailed to England on the P&O liner ‘Chusan’. They arrived in England six weeks on a cold and dreary morning. Phyllis was admitted to the Middle Temple, one of four hallowed institutions of considerable antiquity with the power to call a person to the Bar. The others were the Inner Temple, Lincoln’s Inn & Gray’s Inn. An old and widely discredited rhyme goes: Inner for the rich, Middle for the poor, Lincoln’s for the scholar, Gray’s for the bore. Phyllis chose the Middle Temple because her father was poor and had been admitted by that Inn. At that time, to get admitted to one of the Inns was the shortest and quickest way to becoming a lawyer able to practise in Singapore’s fused profession of advocate & solicitor. 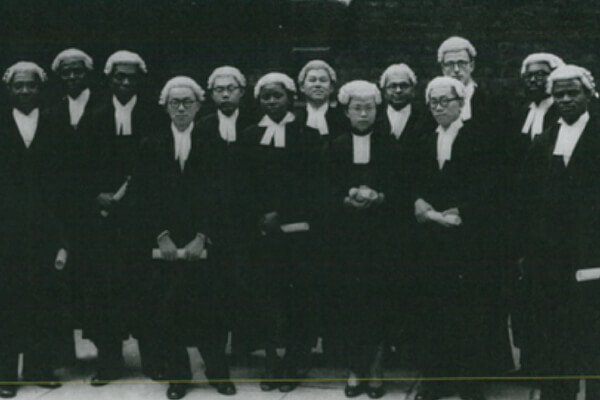 After Phyllis was called to the Bar at Middle Temple in June 1955, she returned to Singapore. 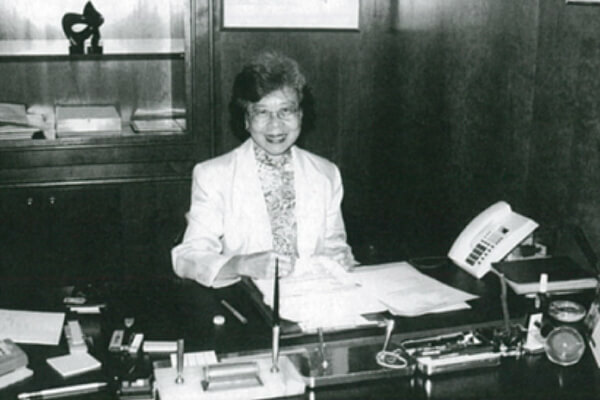 In 1956 she was admitted to the Singapore Bar and started working as a legal assistant for Eber & Tan, the firm run by her father and R L Eber, a very senior and respected member of the profession. Later that year, Eber, who chaired the Bar Committee, made Phyllis the committee’s secretary. She had to take over Howard Cashin, who did not take kindly to having to hand over his responsibilities to a woman. He took his time with the passing of papers to her. When her letters asking him to hand over where ignored, she lost her patience. In her Oral History interview in 2008, she recalled the occasion: “I rang him and asked for the papers. Not getting a response, I banged the phone down on him.” Unsurprisingly, from then on to Cashin she was ‘the tigress’. To Eber she was ‘Spitfire’. The lesson Phyllis learnt from the episode was that the banging of the phone down should be preceded by the words ‘Good bye’! Following her election to the Law Society Council in 1967, she was re-elected to the council in 1974, 1975, 1977 and 1978. Then in 1979 she became the Law Society’s president. During her tenure, she proposed that premises be purchased for the Society. But it did not get off the ground because, as Phyllis explained in her Oral History interview: “…there was no preparation beforehand. The President didn’t know what to do; didn’t know the ground had to be prepared. Just thought she’d put up a good thing and people should just accept it.” The Law Society finally got its own premises in 1995. 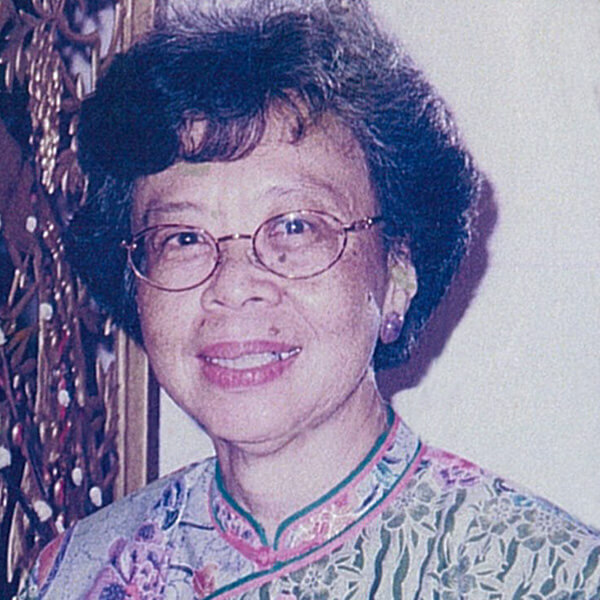 Phyllis was active in legal education, giving tutorials as a part-time lecturer for conveyancing as well as advising on the syllabus for the Bachelor of Laws degree at the then University of Singapore. She was a member of the Board of Legal Education in the 1970s, and from 1970 to 1975 she was a member of the Law Society’s Conveyancing sub-committee. After the deaths of her father and RL Eber, their law firm changed its name several times. In 1979, Phyllis became the sole proprietor of Tan & Tan, with her nephew joining her in the firm. She remained at the head of the firm until 1990. The firm is now known as Tan & Lim. In 2010, the Law Society presented Phyllis with the CC Tan Award, which is presented annually to the lawyers considered to best exemplify the ideals of honesty, fair play, and personal integrity set by the Society’s first president, Mr Tan Chye Cheng.